The Proust Questionnaire, popularized by the French essayist and novelist Marcel Proust, is said to reveal a person’s true nature through a series of probing, soul-searching questions. 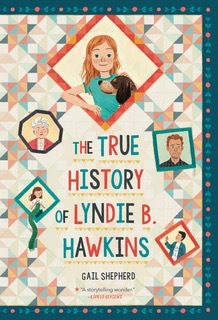 In the hot seat today: Gail Shepherd, author of THE TRUE HISTORY OF LYNDIE B. HAWKINS (Kathy Dawson Books/Penguin, March 26, 2019). What is your idea of perfect happiness? Rising early enough to watch the sun come up over the water. Falling asleep on an outdoor porch listening to the owls and coyotes yodeling. What is your greatest fear? Sadly, my greatest fear is something I have faced and will certainly face again. Losing the ones I love best. What is the trait you most deplore in yourself? A tendency to self-justification. I think I may let myself off the hook a little too readily. What is the trait you most deplore in others? Dishonesty. Which living person do you most admire? Malala Yousafzai. What is your greatest extravagance? Globetrotting. What is your current state of mind? Anticipatory. What do you consider the most overrated virtue? Thrift. Which words or phrases do you most overuse? Just. Really. Holy moly. Besides writing, which talent would you most like to have? Dancing or acrobatics. Which I have zero natural talent for. What do you consider your greatest achievement? It must be writing and publishing a novel. It’s by far the hardest thing I’ve ever done. If you were to die and come back as a person or a thing, what would it be? A scientist with the solution for climate change. What is your most treasured possession? An antique silver and turquoise native American bracelet, a gift from my paternal grandmother. What do you regard as the lowest depth of misery? Confronting my own limitations. What do you most value in your friends? Commitment and humor. Who are your favorite writers? 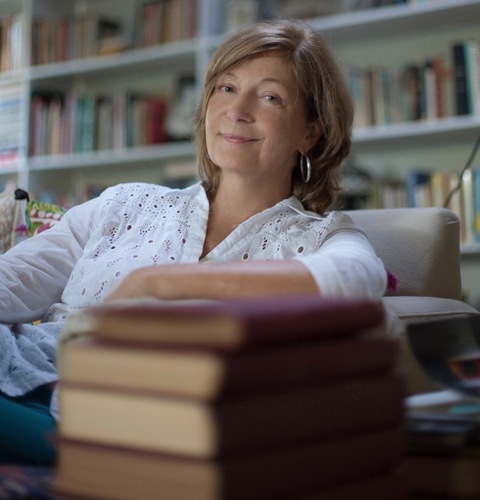 I have a special place in my heart for the women novelists and poets I read in my late teens and early twenties: Jean Rhys, Murial Spark, Virginia Wolf, Kate Chopin, Sylvia Plath, Elizabeth Bishop, Margaret Atwood, Ursala LeGuin. Their unique sensibilities have stayed with me, like the voices of old friends. Who is your hero of fiction? Julie, in Julie of the Wolves. Holy moly, she is just really brave and smart and determined and kind! Which historical figure do you most identify with? The Brazilian airship engineer and pilot Alberto Santos-Dumont. I totally get why he preferred to stay up in the clouds. What is your motto? Our family motto is: Semper Non Whinorous (No Whining). It hasn’t made a full impression on the kids, unfortunately. GAIL SHEPHERD is the author of the middle-grade debut, The True History of Lyndie B. Hawkins. In a starred review, Kirkus called Lyndie B. “A storytelling wonder,” and the novel is a Junior Library Guild selection. Gail received her creative M.A. from the University of Florida in poetry. She has written comic serial magazine stories, co-published her own biweekly newspaper, and worked extensively in the K-12 education industry, supporting teachers and schools. She’s a fourth generation Floridian on her mother’s side, and she lives in South Florida now with her family, two dogs, and an awful lot of mosquitos. You can learn more about Gail on her website and follow her on Twitter, Facebook, and Instagram.